No doubt about it. 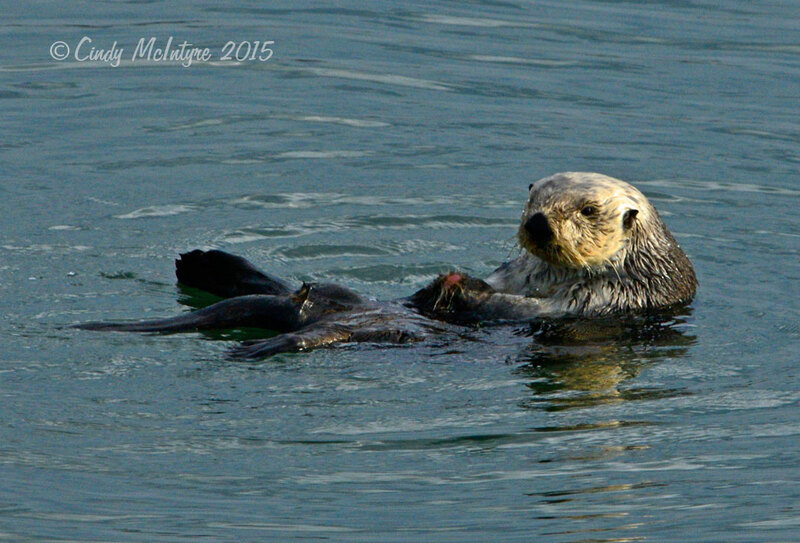 Sea Otters are just darned cute. 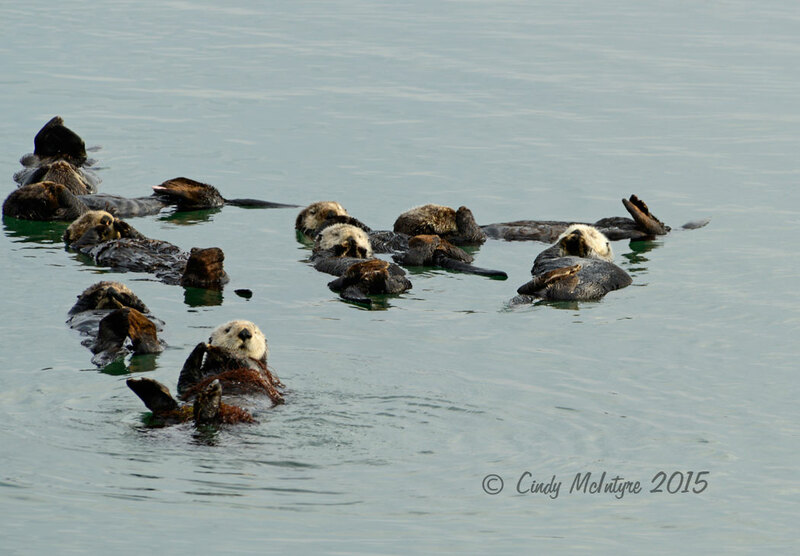 In my several visits to the California coast I counted myself lucky if I saw one or two sea otters. 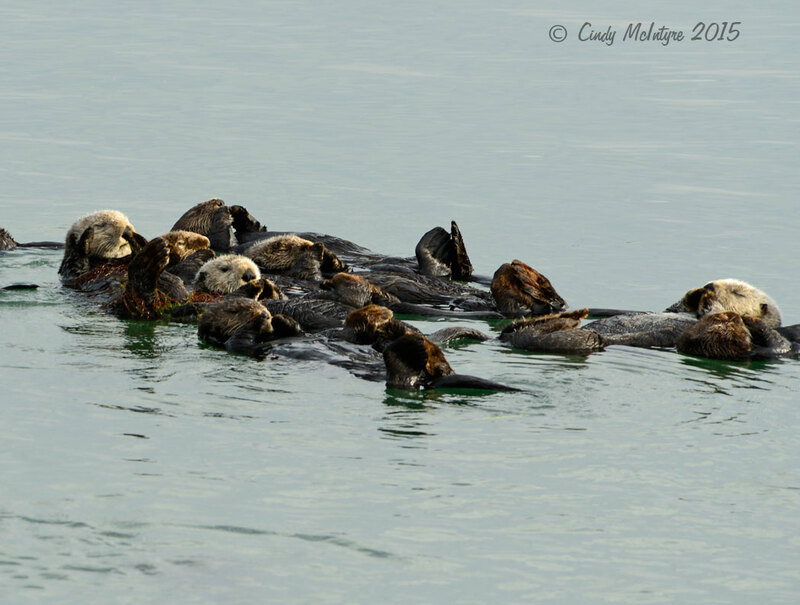 But at Moss Landing, I saw a whole gang of them! 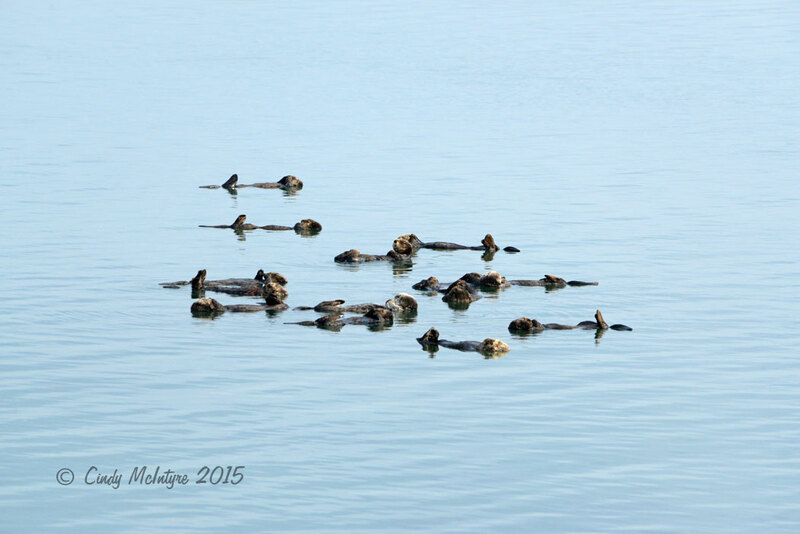 Technically a group like this is called a raft, and there were 17 otters total, 12 of which are visible in this photograph. 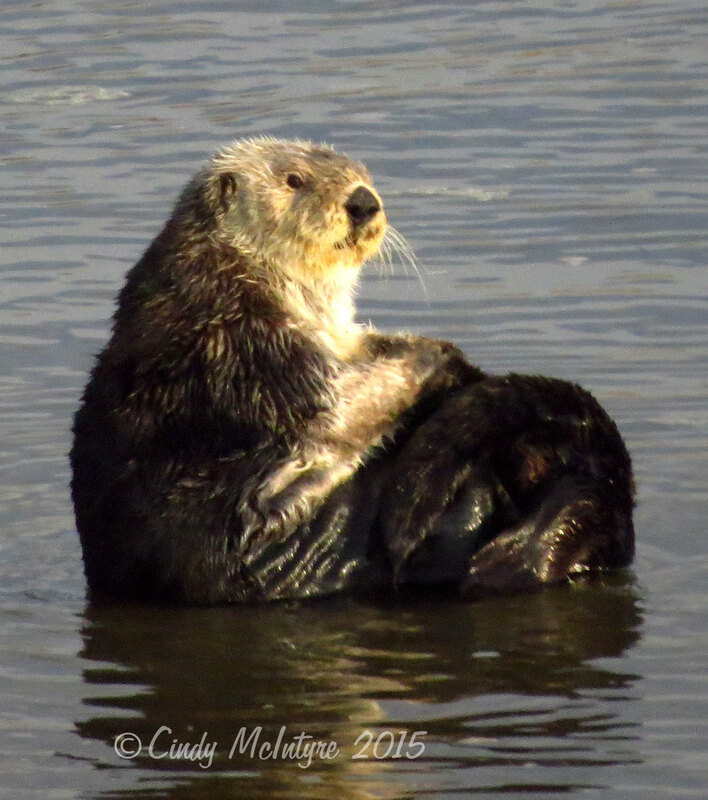 Moss Landing was a great place for both otters and birds since it’s just off the coastal Route 1 and has a shallow little bay buffered from the ocean by sand dunes. 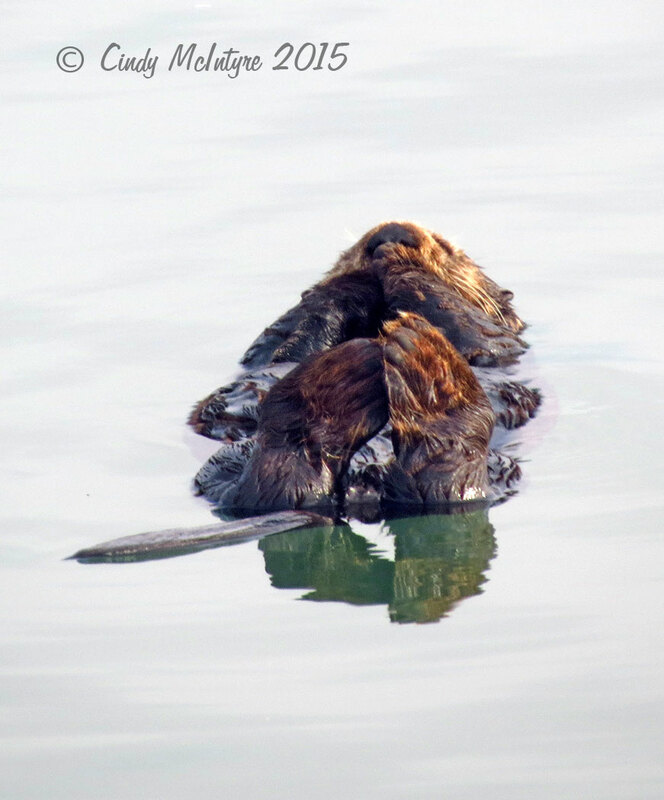 The otters were resting and grooming. They need to pamper their fur four to six hours a day to keep its insulating and buoyant properties in top form. 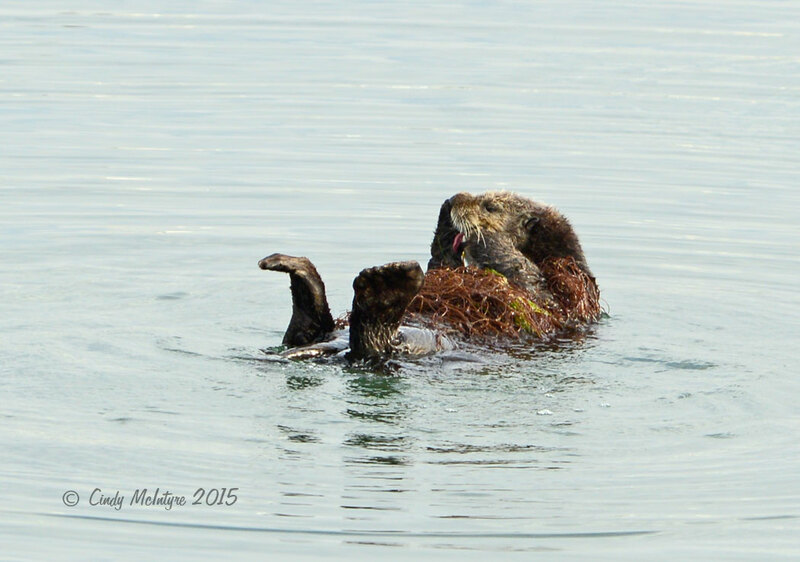 They often twirled around in the water while grooming just about every inch of their bodies. 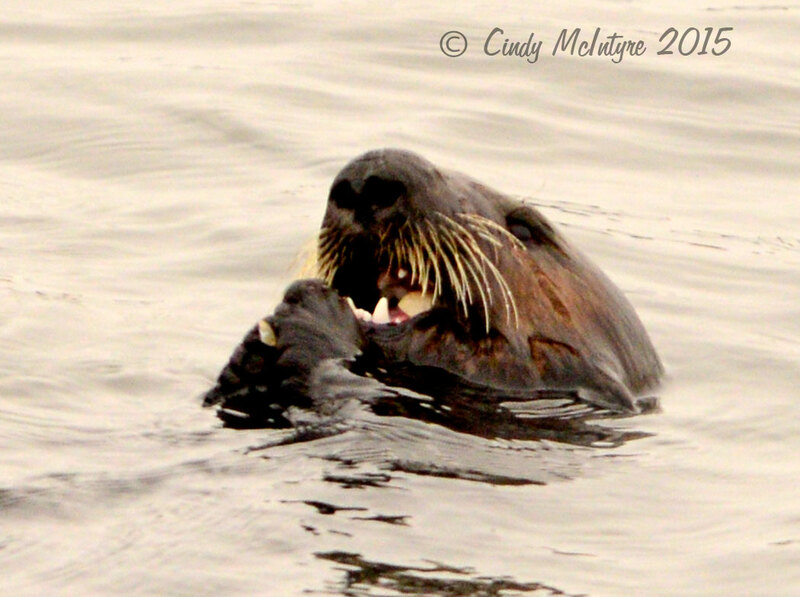 This guy had a covering of seaweed which he seemed to prize. I’ll post a video later of him/her playing with it as if it were a bedspread. By the way, their chests are a perfect table at mealtime. 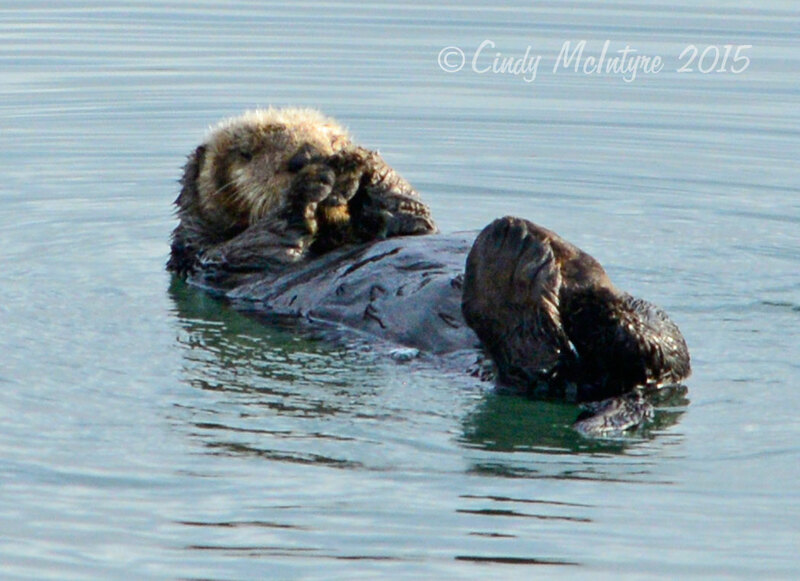 They often have a rock on their chests to crack open shellfish and crabs, which I’ve seen them do in other places. 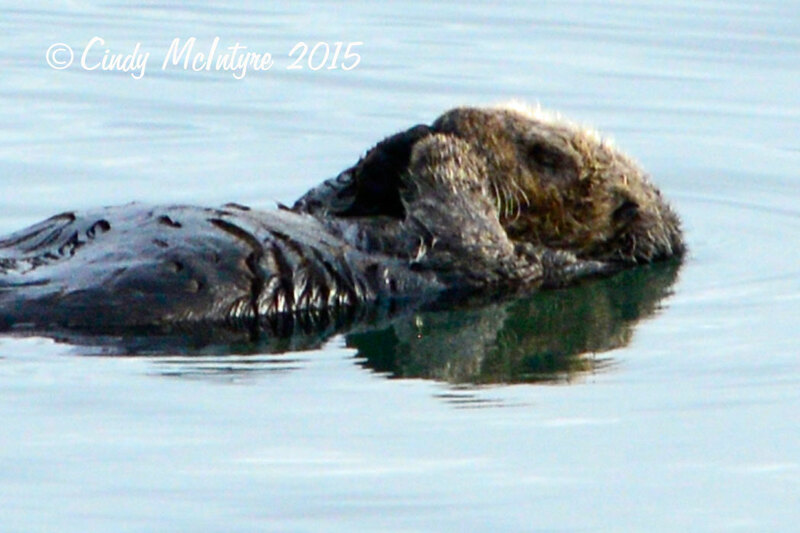 When napping they seem to be praying, and sometimes even cover their eyes. They are most comfortable floating on their backs, as you’ve noticed. 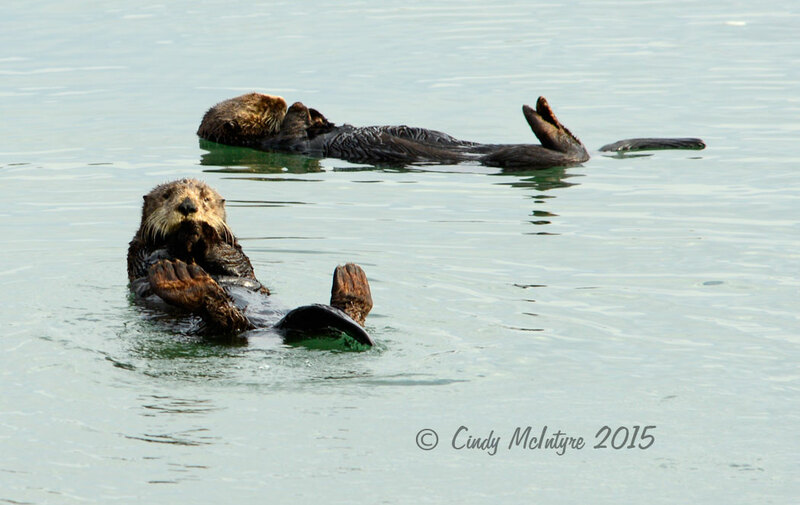 If it weren’t for the Endangered Species Act and other environmental protections, the sea otters would likely be extinct by now. Not only were they hunted for their fur, they are still threatened by entrapment in fishing gear, oil spills, and habitat degradation. Fortunately there are areas where they are thriving. 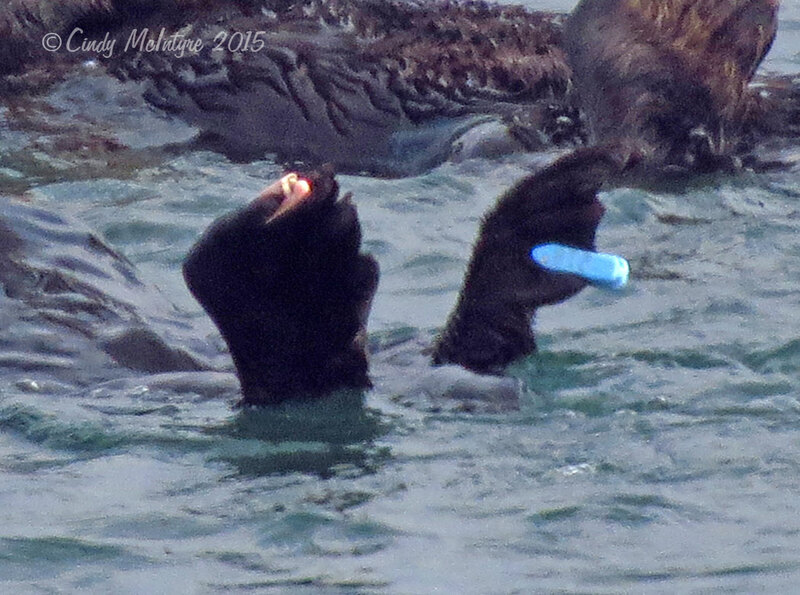 You’ll sometimes see otters with colored plastic tags on their feet. That may mean they were orphaned or rehabilitated before being set free. 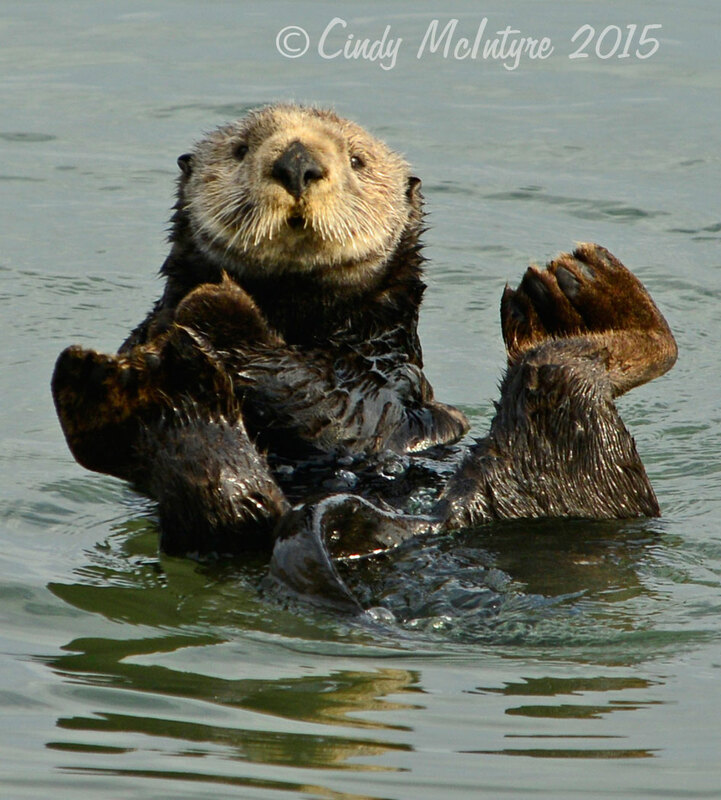 To learn more about sea otters, visit the Monterey Bay Aquarium and see the film about Luna the orphaned otter. Or stand on the observation deck and see them feeding and playing in the wild. 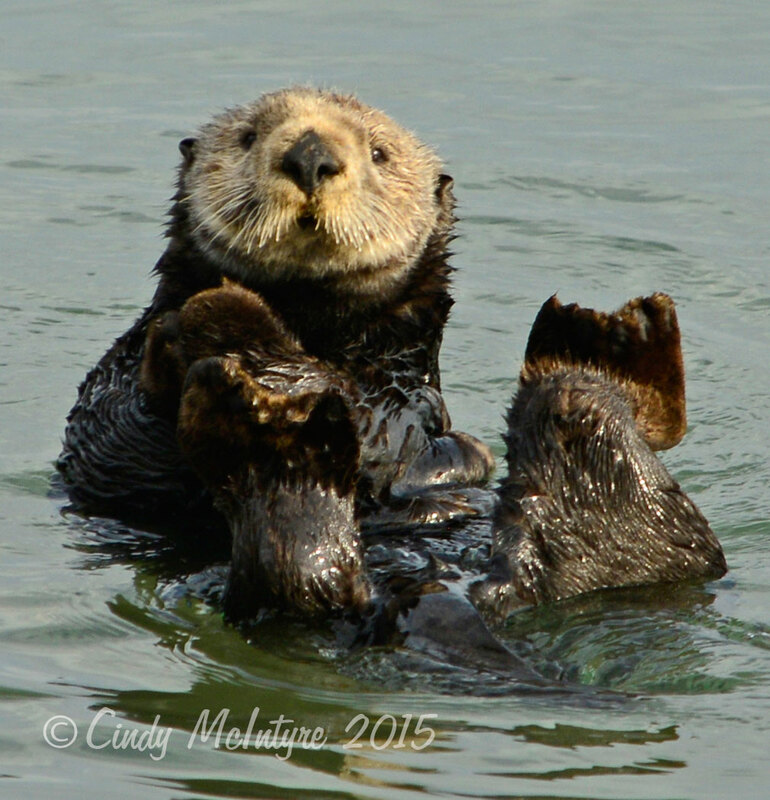 Marvelous blog on one of my favorite animals. Cindy, thanks for these wonderful pixs. 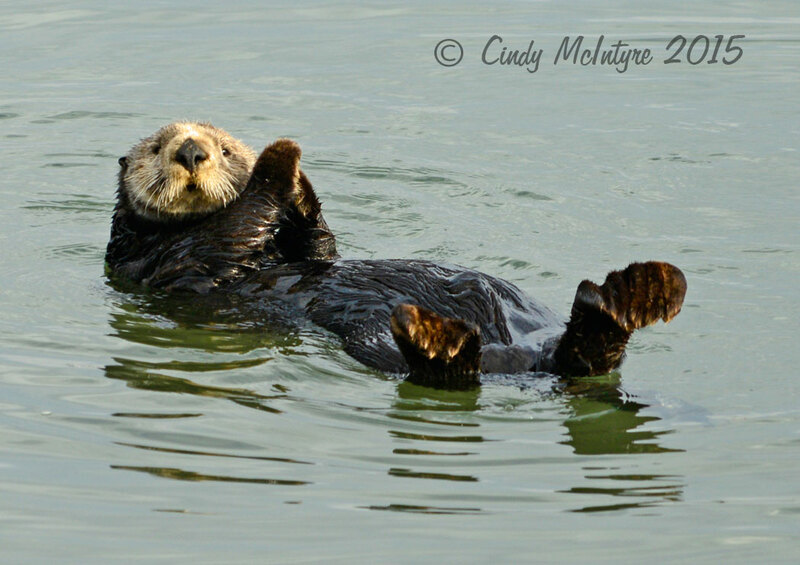 Otters just make me happy! I also really appreciate your captions.